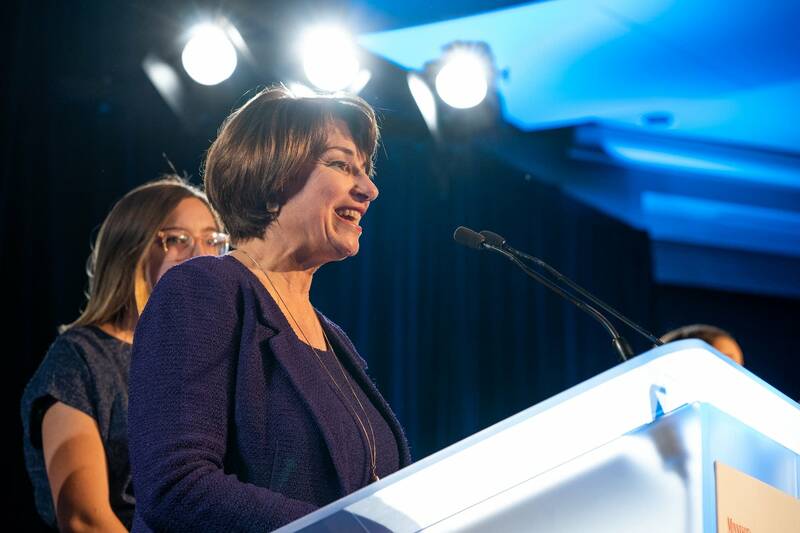 U.S. Sen. Amy Klobuchar says she is "still thinking about" running for president in 2020. The Minnesota Democrat was on ABC's "This Week with George Stephanopoulos" on Sunday morning to discuss a variety of issues including climate change, immigration reform and the possibility of a government shutdown. "Right now I am just still thinking about this, talking to people. I'm sorry to say I have no announcement for you on your show, and I actually learned this from my Senate race. Once, when I first was considering running for the Senate, (I) told someone that on the radio — and that was how my husband found out about it, and since he is watching today I'm not going to repeat that again." Addressing the migrant caravan at the U.S.-Mexico border, Klobuchar said President Trump should be taking responsibility for the situation. Trump on Sunday called on Mexico to stop the caravans from trying to reach the U.S. border. Klobuchar has served in the U.S. Senate since 2007. Earlier this month she easily won re-election to a third term.